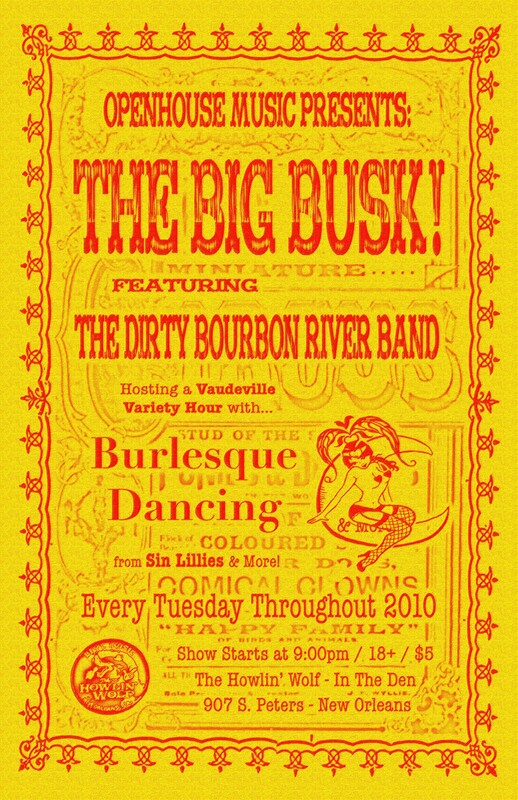 With another Tuesday comes another sultry, smooth Dirty Bourbon burlesque residency as part of the Big Busk! at The Wolf’s Den (828 S. Peters) tonight! If you have yet to make it to one of these shows, then Buster you’re one of two things. Dead or you let your Tuesdays at work get you way too down. Come sit and hoot and holler for the lovely and mysterious Sin Lillies Burlesque Revue and the boys and maybe enjoy a shot of bourbon or two, it’s almost hump day anyway. Tonight will be a little extra special as the boys welcome Bootsy back from his recent mission trip to Belize. Much props and many thank yous to Chris Guccione of Booty Trove and Bill Fletcher of 27 Lights for helping to hold down the fort while Bootsy was away. On unrelated note, we bought a van. Scary? Yea, why wouldn’t it be? Exhilarating? Even more so. 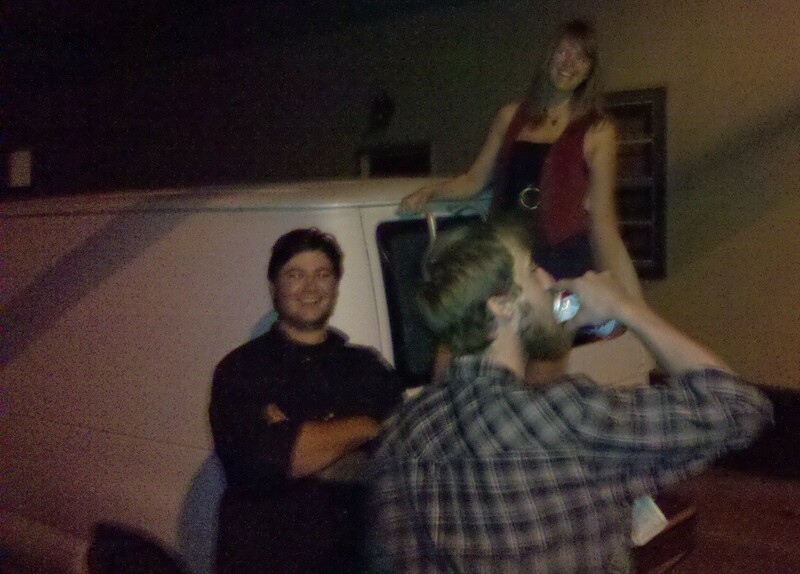 Here’s a shot of it, our lovely van model Anna and Big Charlie knew it was being taken at the time. Noah did not.